We are delighted to announce that IMPOWER has been shortlisted for the MCA Award 2013 category ‘Customer Engagement’ for our sector-leading work with three county councils to transform their approach to inspiring, recruiting and retaining foster carers. Foster carers are one of our nation’s most precious resources and, as David Cameron has highlighted, we need many more. Over 7,000 more in fact. Pioneering county councils Buckinghamshire, Staffordshire and Hertfordshire recognised that doing more of the same improvement work would only take them so far. To go beyond ‘Good’ they wanted to put the customer – the carer – right at the centre of their service. And to achieve that, they realised they must understand those carers much better. This goes to the heart of our philosophy at IMPOWER. Efficient process and supportive ICT are key enablers for any business but will count for nothing if behaviours and relationships are not right. And our innovative and practical tools and techniques are helping our public service clients up and down the country ensure they identify and respond to the specific motivations of their customers to achieve the best all-round outcome. The application of this innovative approach in foster care has put Buckinghamshire, Staffordshire and Hertfordshire County Councils ahead of national thinking. They are now on the front foot in the fight to control costs – releasing savings of 6% – and most importantly can ensure that 11% more vulnerable children will be placed in caring homes and receive better life chances. Listen to Jeremy Cooper, Director, talk about the projects below. To see the full MCA Awards 2013 shortlist please see the MCA website. 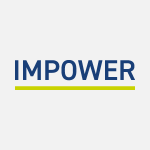 If you require any further information about the work that IMPOWER are doing on foster carer recruitment and retention please contact Jeremy Cooper, Director, on jcooper@impower.co.uk or Alastair Thompson, Manager, athompson@impower.co.uk or call 020 7017 8030.